MuchMusic Video Awards 2017: The time has come for biggest Canadian music awards this year. The live streaming of MMVA, winners list and you can watch online in HD here. 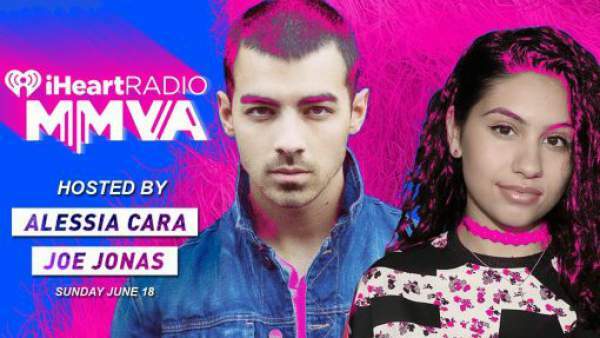 The iHeartRadio MMAVs is going to take place in Toronto tonight, Sunday night. In 1990, the annual award show came into existence. It honors the best of music in the Canada. Last year, Joe Jones and Alessia Cara won Best New Canadian Artist. And this time, they are going to host the musical evening’s festivities. There will be a number of performers for the night. It includes Jonas’ band DNCE and it has also been nominated for iHeartRadio International Duo or Group of the Year. Along with that, there are going to be a number of famous presenters to give out the awards. The list includes Martha Hunt, Nikki Bella, Lilly Singh, Keke Palmer, Shay Mitchell, Brandon Flynn, Tyler Oakley, Kat Graham, Darren Criss and Carly Rae Jepsen, whose song “Call Me Maybe” won Video of the Year in 2012. There will be a number of musical performances throughout the evening including, Niall Horan, Lorde, Camila Cabello, Iggy Azalea, Imagine Dragons and DNCE. The Much Music Video Awards nominees for the year includes Shawn Mendes (“Mercy”), Coleman Hell (“Fireproof”), Kaytranada F. Anderson (“Glowed Up”), Pup (“Sleep in the Heat”) and A Tribe Called Red feat. Yasiin Bey, Narcy and Black Bear (“R.E.D.”). Not only the Canadian artists but also some of the non-Canadian will also get an opportunity to win, including the nominees for iHeartRadio International Artist of the Year, are Katy Perry, Ed Sheeran, Future, Lorde and Kendrick Lamar. Lady Gaga and Iggy Azalea have been nominated for Most Buzzworthy International Artist or Group. The Canadian artists in the race are Justin Bieber, Drake, The Weeknd, Cara, and Mendes. The iHeartRadio MMVAs red carpet starts at 8 pm ET while the main event is at 9 pm ET. Stay tuned to The ReporterTimes for latest music news and updates around the world.